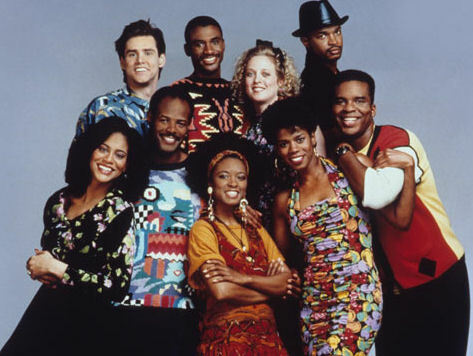 TV Land announced that the cast of the trailblazing Fox series In Living Color – Keenen Ivory Wayans, Jim Carrey, David Alan Grier, Shawn Wayans, Marlon Wayans, Tommy Davidson, Kelly Coffield Park, Kim Wayans and T'Keyah Crystal Keymah – will be honored with the Groundbreaking Award at the TV Land Awards 10th Anniversary celebration, taping Saturday, April 14 at the Lexington Avenue Armory at Gramercy Park in New York City. Additional cast members are expected to join. Previously announced honorees include Laverne & Shirley, One Day at a Time, Pee-wee's Playhouse and Aretha Franklin. The TV Land Awards 10th Anniversary will air on Sunday, April 29 at 9pm ET/PT. 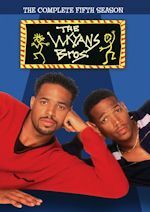 The Emmy® Award-winning series In Living Color, which aired from 1990 to 1994, was written by, created by and starred Keenen Ivory Wayans, and also featured Jim Carrey, Tommy Davidson, Shawn Wayans, Marlon Wayans, Kelly Coffield Park, Kim Wayans, T'Keyah Crystal Keymah and David Alan Grier. Receiving the aptly-named Groundbreaking Award at this year's TV Land Awards ceremony, the sketch comedy series was the first of its kind to break down barriers and feature a predominantly African-American cast. 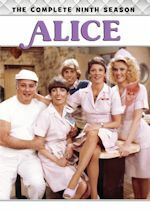 As the theme song suggested, the show where "you could do what you want to do" was full of unbridled creative energy, resulting in edgy and hilarious characters like Homey D. Clown, Fire Marshall Bill, Wanda, and Vera De Milo. 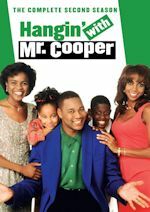 The show coined as the first diverse hip-hop comedy, dance-sketch series on television by Entertainment Weekly also featured some of the greatest R&B and Hip-Hop musical artists of the 90s who frequently performed on the In Living Color stage. The series also starred gifted comedians Damon Wayans and Jamie Foxx. The TV Land Awards pays tribute to classic and contemporary luminaries of television, music and movies. The 90-minute telecast hosted by Kelly Ripa will feature exhilarating musical performances and will reunite some of the most iconic celebrity TV casts. Fox has announced it plans on airing the remaining episodes of new sitcom I Hate My Teenage Daughter, which was pulled recently on Tuesday nights. 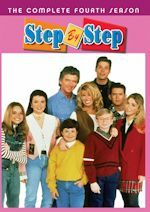 The sitcom has six episodes left out of its thirteen episode order. Fox will air them on Sunday nights from 7-8pm this June for three weeks on June 3, 10 and 17. Animation will return on June 24 with repeats of American Dad and Cleveland Show set to air in the 7pm hour. Fox also said they will air repeats of I Hate My Teenage Daughter on its Saturday night late night block starting June 2. The sitcom will air repeats on Saturday nights at 12am, replacing repeats of New Girl. Repeats of The Finder will remain at 11pm on Saturday nights, which will start May 5. One more Fox note, they will reair the Fox 25th Anniversary Special on Sunday, June 24 from 8-10pm if you miss it later this month (April 22) when it premieres.